In the more than 11 years since the Carlisle Building was severely damaged in a deliberately set fire, Chillicothe residents have endured multiple visions for the structure’s renovation. This week, the dreams of renovation drew closer to reality as building officially changed hands. The Chesler Group officially closed on a purchase of the building and renovations will soon begin with a target date of reopening by next year. Adena Health System will be the main tenant, using the space to house offices and living space for residents. The Chillicothe-Ross Chamber of Commerce announced the sale Friday, in its weekly newsletter. 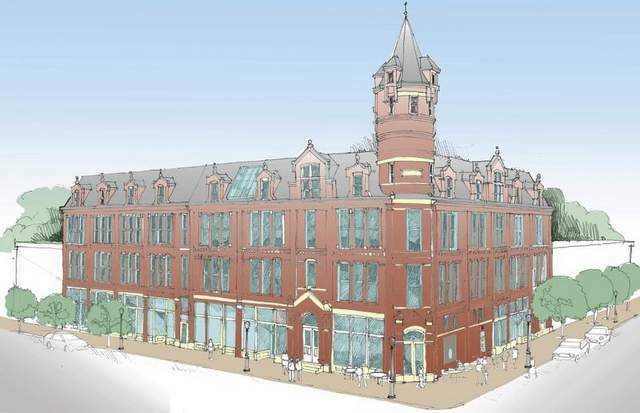 “It is with great anticipation that we look forward to the renovation of the Carlisle Building and the revitalization of our entire downtown,” said Tom White, chairman of the city’s Downtown Development Commission. Chesler has maintained that work would begin on the famed structure as soon as the closing was finished. The renovation of the building has long been held as the main catalyst to downtown revitalization and was named as such in a outside downtown study conducted by Hyett Palma in 2007.